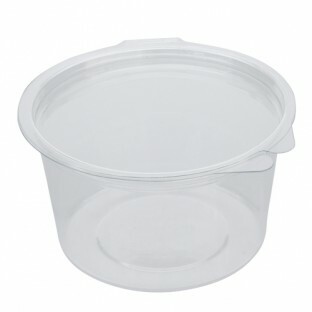 Our Olipack containers are 100% leak-proof, very high quality containers with a hinged lid. Try our sauce pots for your takeaway dips or to add that little extra zing to your prepared meals. Our Microlite range is a very rigid container, has a separate lid and is very cost effective. All of our deli pots are available from stock and leak-resistant or leak-proof and suitable for a wide range of products including salad, chopped fruit, muesli, yoghurt, sweets, olives, anti-pasta or can simply be used as a snack pot.